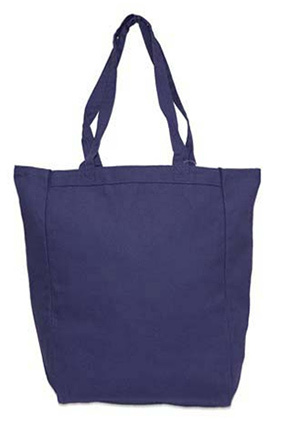 100% cotton 10 ounce heavyweight canvas tote with bottom and side gussets. Color matching self fabric handles. Approximate imprint area: 8"W x 9"H (center). Maximum embroidery area: 6 3/4" diameter (center).